If you got into cryptocurrencies in 2017, there’s virtually no way you didn’t hear about Tether (USDT): the good, the bad, and the ugly. Indeed, the “stablecoin,” so called because a single tether token is designed to maintain the same value regardless of whether the crypto markets are up, down, or sideways, has had a dramatic year to say the least. Today, then, we’re going to be walking you through Tether. What it is, and why it’s generated so much attention over the past several months. 6 Can The Space Survive A Crypto Explosion? 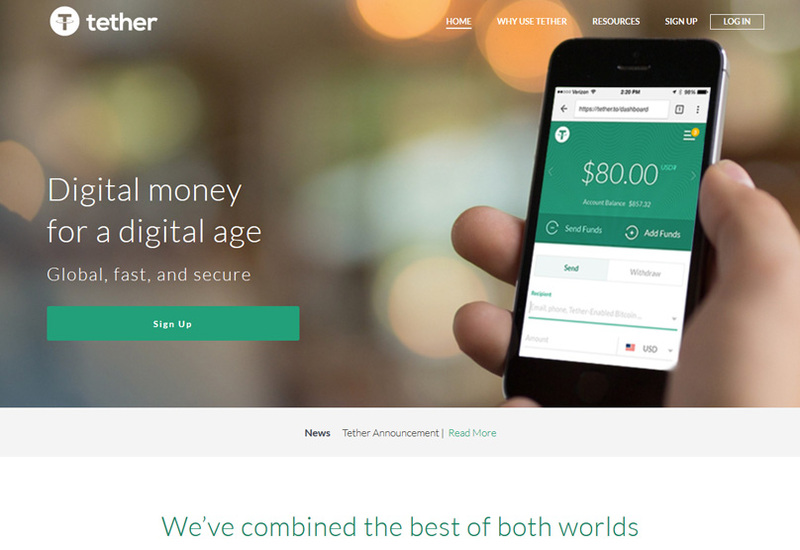 Tether is an Ethereum-based ERC20 token that’s billed as the “U.S. dollar token.” That’s because each tether is said to be pegged to fiat reserves 1:1, with these reserves being maintained in as-yet undisclosed bank accounts under Tether Limited’s control. 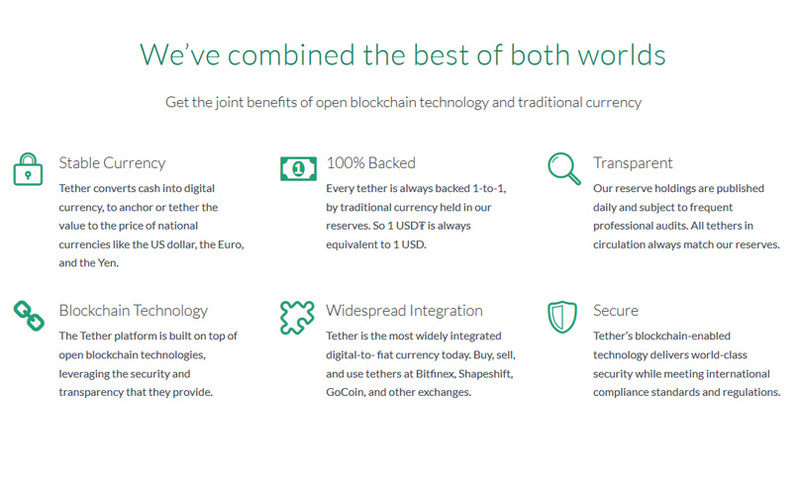 Tether Limited, of course, is the organization heading up the token project. Tether tokens can be pegged to different currencies; the most common is the USDT, the tether tokens which are supposedly backed by U.S. dollars. There are also euro tethers (EURT), and tethers pegged to Japanese yen are currently being worked on. The Tether Foundation defends these reserves by saying the project’s accounts are audited, but we’ll touch more on that later. The idea behind the token? To make it easy for investors and merchants to transfer fiat values stably into a cryptocurrency to take advantage of the frictionless advantages of crypto-to-crypto possibilities. For example, users often “camp out” in tether tokens to preserve profits during bearish markets. The aforementioned Tether Limited is said to create and destroy tethers upon the receipt of deposit and withdrawal orders. The perks of a stablecoin have long been desired in the cryptocurrency space, so tether tokens have become a part of trading pairs on numerous prominent crypto exchanges. Indeed, USDT and EURT options have become popular with many traders who are trying to avoid the tax implications often inherent to crypto-to-fiat exchanges. And this popularity is shown in the booming supply of tether tokens, which is now over a whopping 1.3 billion tokens at press time. There are concerns that any exchanges that have high exposure to tethers are in great jeopardy of crashing if the Tether project eventually implodes, but again, we’ll touch on that later. As it stands, then, it’s just important to note that a lot of people are in fact using tether tokens right now. And that could have huge ramifications regardless of whether Tether succeeds or fails. With more and more users relying on tethers as a way to have fiat-like capabilities in the cryptocurrency trading arena, the Tether project itself has come under a lot more scrutiny. And some of the things the community believes it’s turned up within this scrutiny are concerning, to say the least. If each USDT really is backed by a real-world fiat asset, then everything should be smooth sailing. Tether really is a stablecoin if that’s the case. Some of the sketchier rumors circulating and being speculated upon have to do with the relationship between the Tether project and the titanically popular cryptocurrency exchange Bitfinex. To be clear, both projects have denied these allegations in the strongest terms, referring to them as conspiracies in light of their pronounced innocence. Audits have been promised, and legal actions have been taken against people accused of spreading slanderous falsehoods. Consider, for example, that the recent Paradise Papers documents leak (a massive trove of highly sensitive financial data on the world’s richest and most secretive citizens) betrayed a startling and previously unknown fact: per The New York Times, both Tether and Bitfinex share top executives. 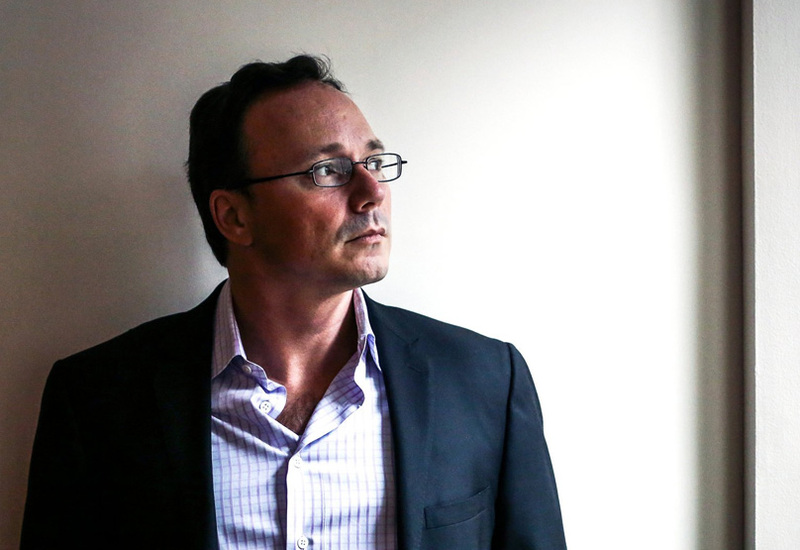 That’s because Giancarlo Devasini is an executive director at both the exchange and the stablecoin project, and Phil Potter is Chief Strategy Officer (CSO) at both companies too. These connections were never known before and beg all sorts of questions. In being the biggest cryptocurrency exchange by volume in the world, Bitfinex is a major legitimizer of USDT. The problem is, every time a large influx of tether tokens hit Bitfinex, the bitcoin price seems to shoot up. This is sketchy and should engender caution in the community. Why? Because if USDT aren’t really backed 1:1 by fiat reserves, then fake money is entering in the cryptocurrency markets, in turn falsely propping up crypto prices. It’d be like using money they don’t really have to buy crypto, and that reality would be baked into the bitcoin price, for example. Is that what the space is facing now? It’s hard to say. But there’s no question that it’s a concern that’s been growing in intensity in recent weeks. The two projects aren’t going down without a fight, as we said before. They released a report in September describing their financial situation. But many weren’t satisfied. The report wasn’t a formal audit, and it was conducted by a relatively small accounting company. The accountants didn’t have access to all relevant information, either, as some data was redacted. So what’s the nightmare scenario if everything’s really as bad as the naysayers say it is? If markets discover that tethers aren’t actually backed by real reserves, several events will happen like a chain reaction. If Tethers are not fully backed, what happens when the market discovers this and Tethers collapse? First, the bitcoin price will plummet on exchanges that don’t use USDT in trading pairs as savvy cryptocurrency investors begin to camp out in the safety of fiat currencies. Next, investors will flood bitcoin and other cryptocurrencies from USDT-reliant exchanges to exchanges that don’t have USDT trading pairs. The latter may be shuttered, either intentionally or unintentionally, due to hyper volume. Thirdly, exchanges that rely heavily on tether tokens, like Bittrex for example, could instantly become insolvent as USDT tokens and cryptocurrency prices in general crater. There’s nothing desirable in this nightmare scenario. But if there were to be any silver lining, it would be that if Tether is running a fraudulent scheme, they need to be exposed, and it’s going to be painful no matter what — better sooner rather than later. Our advice? Begin testing out how fast you can offload your crypto into fiat. It’s a practice test that may come in handy if things go south in the worst way possible. Can The Space Survive A Crypto Explosion? Well, the cryptocurrency arena has seen a cataclysmic collapse before with the Mt. Gox exchange collapse several years ago. Many lost everything. And the price of bitcoin cratered down 86 percent. But things eventually turned up, and look where we’re at now. If there’s fire to USDT’s smoke, the cryptocurrency space is set to experience its second Mt. Gox incident, Mt. Gox 2.0, if you will. So things would get a lot uglier before they got prettier again. If this happens, those who are cashed out on the sidelines will be the big winners. Those who get caught in the implosion may just lose it all. It’s like the say: crypto prices can crash to zero overnight. Let’s hope it never happens, but always prepare for the worst.